The Rolls-Royce Trent 1000 TEN has powered a Boeing Dreamliner flight for the first time. 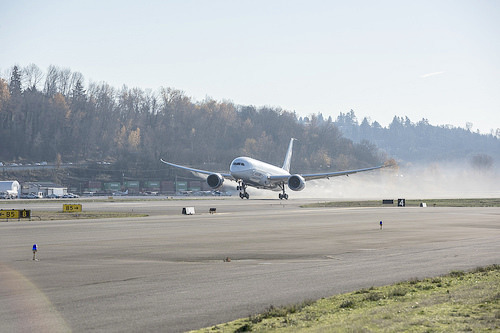 The flight, which took off and landed at Boeing Field in Seattle, marks the latest phase in the engine’s development program. The Trent 1000 TEN has also been selected to power the first test flight of the Boeing 787-10 version of the Dreamliner, slated for the end of March, 2017. This means the Trent 1000 will have powered the first flight of every version of the 787. The Trent 1000 TEN has already powered tests earlier this year on the Rolls-Royce Flying Test Bed aircraft, a Boeing 747, at Tucson, Arizona. The Trent 1000 TEN (Thrust,Efficiency and New Technology) will power all variants of the Boeing 787 Dreamliner family. The engine draws on technologies from Rolls-Royce Trent XWB engine and advance engine program, delivering thrust and efficiency improvements. Airbus has wrapped up high-elevation airport testing of the A350-1000 following a 10-day campaign in South America. 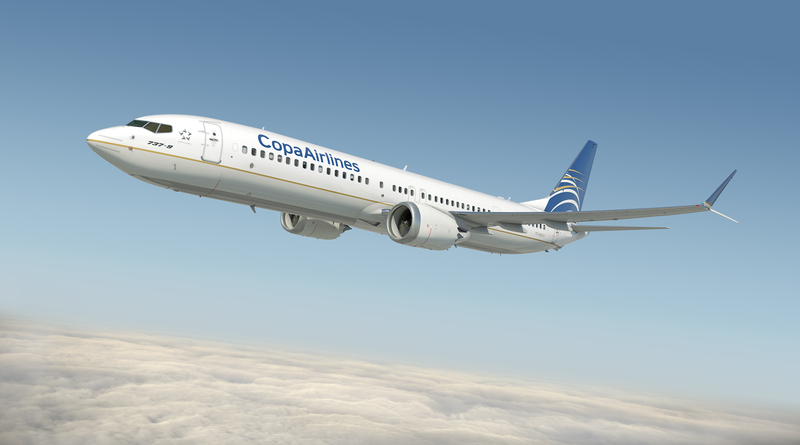 Aircraft MSN71 undertook initial tests in Bolivia, operating to Cochabamba and La Paz. MSN71 carried out several departures and landings at each airport for data-collection, says the airframe, operating at elevations of 7,546 ft – 13,123 ft. The twin jet also carried out tests at the sea-level Colombian airport of Barranquilla. “Early test results confirm the good performance and behavior of both the aircraft and its Rolls-Royce Trent XWB-97 engines,” adds Airbus. The airframe typically carries out hot-weather tests in the Middle East, using Al Ain in the United Arab Emirates. 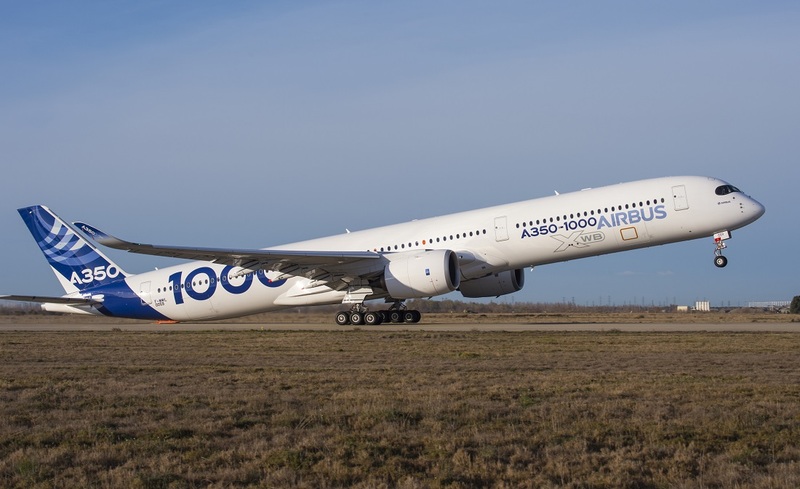 Airbus is aiming to deliver the A350-1000 for airline service later this year. Three of the variant are involved in the certification effort. 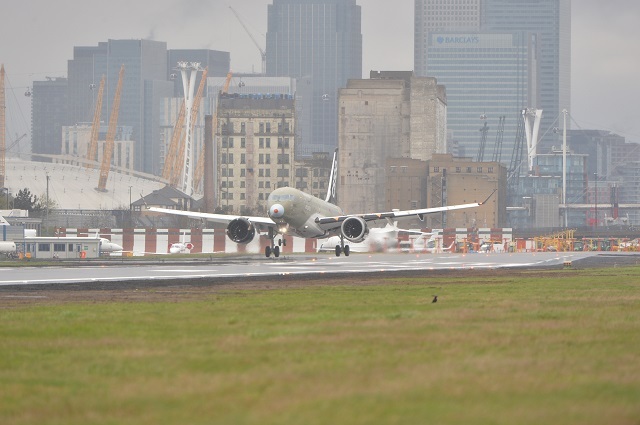 On March 23rd Bombardier completed CSeries validation tests at London City airport and expects to receive certification to operate commercial flights to the facility in as little as six to eight weeks. “The aircraft flew flawlessly. There were no issues,” Bombardier’s vice president of the CSeries program, Robert Dewar, told FlightGlobal. Aircraft operating to London City require special certification largely due to the airport’s steep approach requirement. Bombardier began London City certification tests for the CSeries months ago at other airports, performing approaches as steep as 7.5 degrees, says Dewar. That’s steeper than London City’s %.5 degrees approach, he adds. 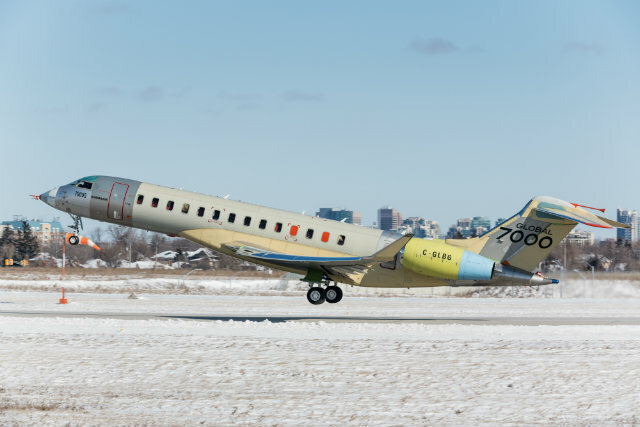 Following those trials, the Canadian airframe flew its second flight-test vehicle (C-GWYD), a CS100 variant to London Stansted airport on March 21st. The aircraft landed for the first time at London City on March 22nd, completing four validation and demonstration tests that day and four on March 23rd, the company says. Next, Authorities will review Bombardier’s test data, Dewar says. 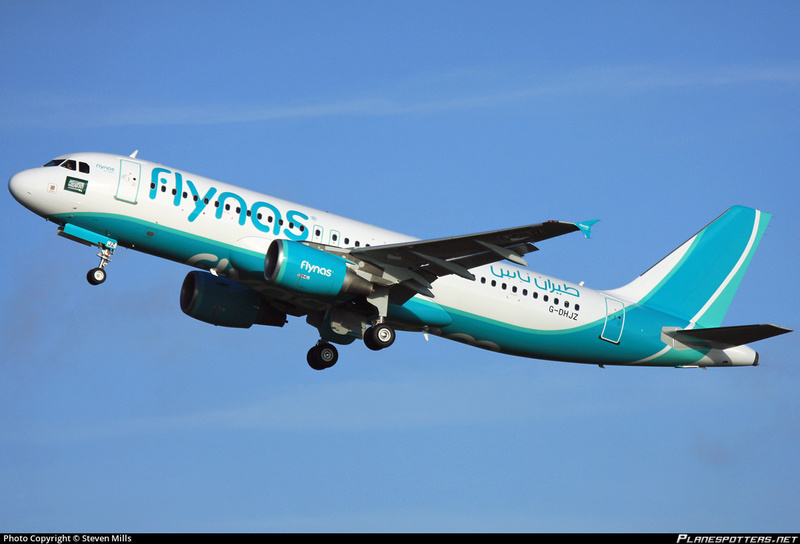 The Company needs approvals from Transport Canada, The European Aviation Safety Agency and Switzerland’s Federal Office of Civil Aviation, according to Dewar. Pilots must also complete London City specific training. Molon Labe has teamed up with BMW’s Designworks and Panasonic Avionics to create an economy-cabin design that would make the middle seat wider and more attractive. A concept model of the novel design was unveiled at the Aircraft Interiors Expo in Hamburg, April 4-6. The Stagger Seat, or S2, is a variation of Molon Labe Seating’s Side-Slip Seat, which is aimed at faster boarding and quicker turnarounds for time-sensitive short-haul flights. The Colorado company is launching this new variation on the concept with quite a different goal – to improve economy class passenger comfort on long-haul flights. 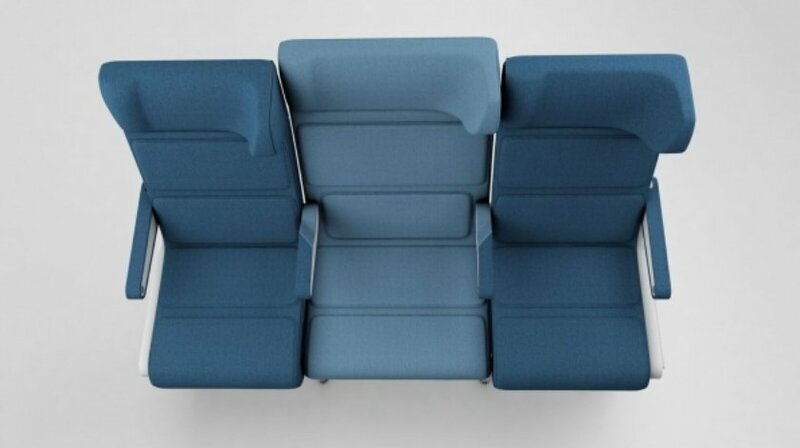 The Stagger Seat takes the ergonomic features of the Side-Slip Seat and translates them into a reclining economy seat”like no other,” the company claims. In the Side-Slip seat, the middle seat is offset, or staggered, downward and backward relative to the seats either side. This allows the aisle seat to be slid over the middle seat during boarding, to increase aisle width and allow passengers to get past. Faster turnarounds are not the main aim for long-haul airline, Molon Labe CEO Hank Scott said, so the stagger Seat does not slide, but it will recline.The offset is used primarily to increase space for the middle-seat passenger-and potentially generate more revenue for the airline. 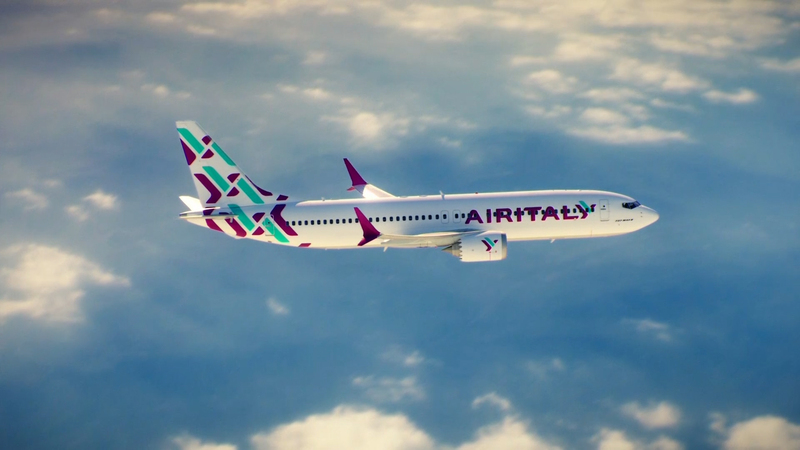 Avolon, the international aircraft leasing company, announced the completion of the acquisition of the aircraft leasing business of CIT Group. Avolon is now the world’s third largest aircraft leasing company, with a combined fleet as of December 31,2016, of 808 aircraft valued at over US$43 billion. 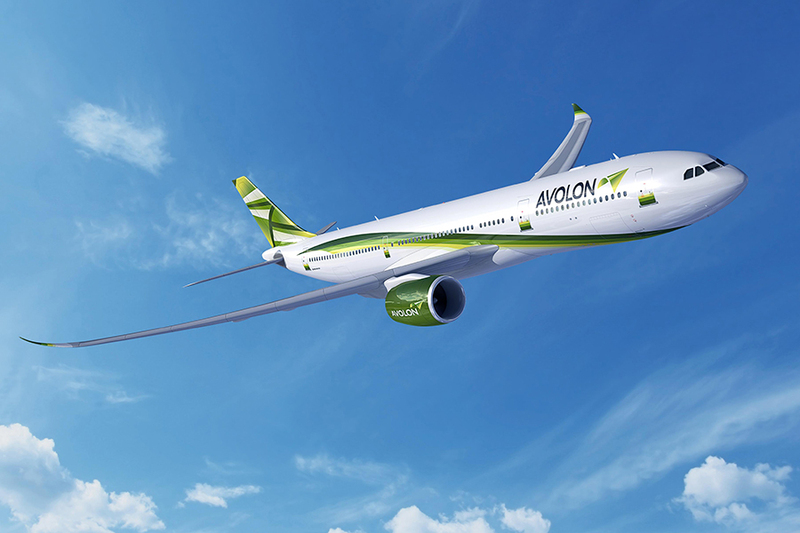 Transaction doubles Avolon’s size and creates the world’s third largest aircraft leasing platform; serves 149 customers in 62 countries with approximately one third of in-service aircraft leased into each of the Americas, EMEA and Asia-Pacific regions, providing balanced geographic exposure. 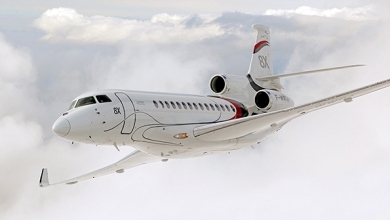 The combined business had an owned fleet of 551 aircraft with an average age of 4.7 years: the youngest owned, in service fleet among the world’s top three aircraft leasing companies. Total orders and commitments for 301 aircraft include new technology aircraft comprising of 196 Airbus Aircraft (A320neo family,A330neo and A350); 61Boeing 737 MAX aircraft and 25 Boeing 787 aircraft. 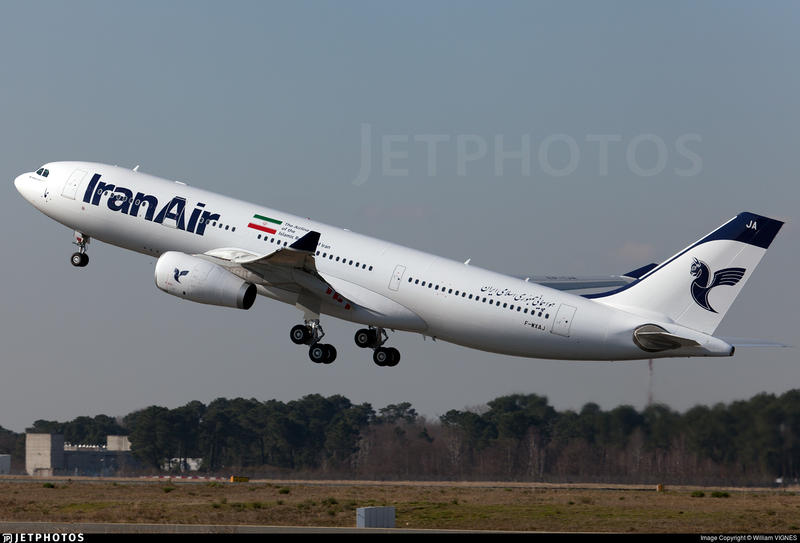 Iran Air has taken delivery of a second Airbus 330-200, two weeks after its first of the type arrived in Tehran. China Aircraft Leasing Group has completed the deliveries of one Airbus A320 each to Air Asia Berhad and Thai Air Asia. Porter Airlines Toronto City-based airport took delivery of its 29th Bombardier Q400. 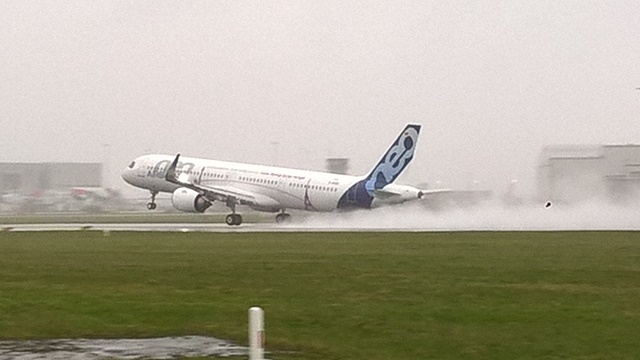 Airbus the first Airbus A319neo performed its maiden flight on March 31, powered by CFM International LEAP-1A engines. 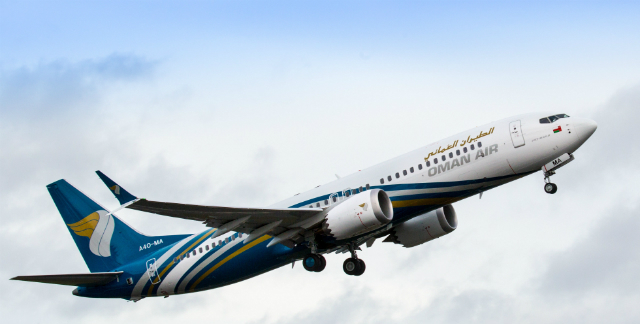 MIAT Mongolian Airlines plans to lease two Boeing 737 MAXs from Irish lessor Avolon as it looks to bolster its single-aisle fleet. 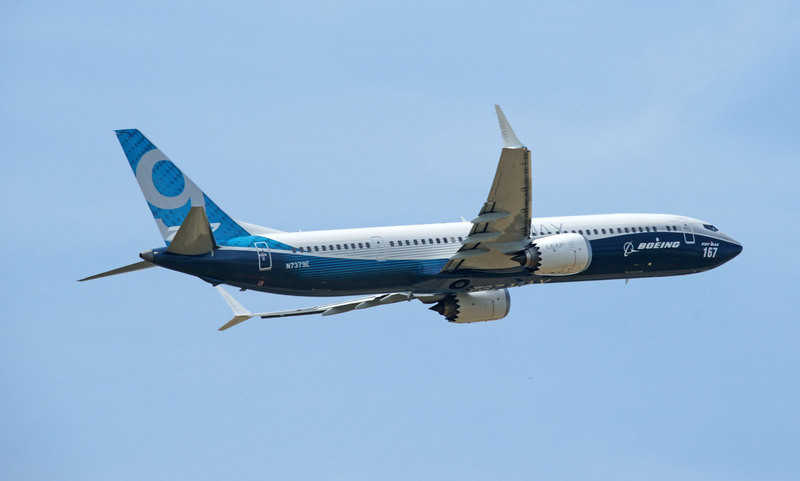 Boeing Commercial Airplanes after a one-year pricing freeze, Boeing Commercial has raised list prices by a range between 2.16-2.23% across the product portfolio. 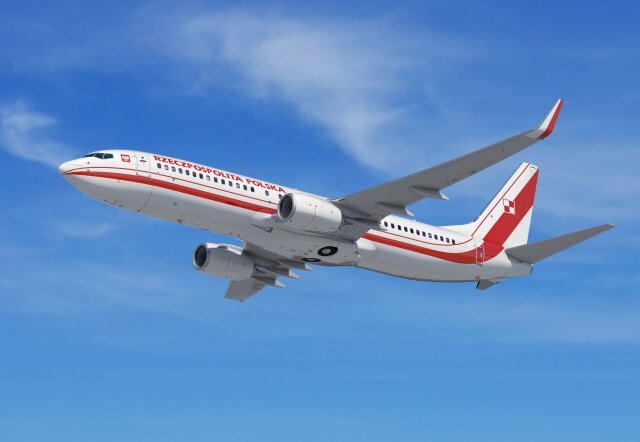 The Government of Poland announced an order for three Next-Generation 737s. The order includes two new BBJ2 airplanes and one 737-800, which will be operated by the Government of Poland as head-of-state aircraft for the president and top government officials. 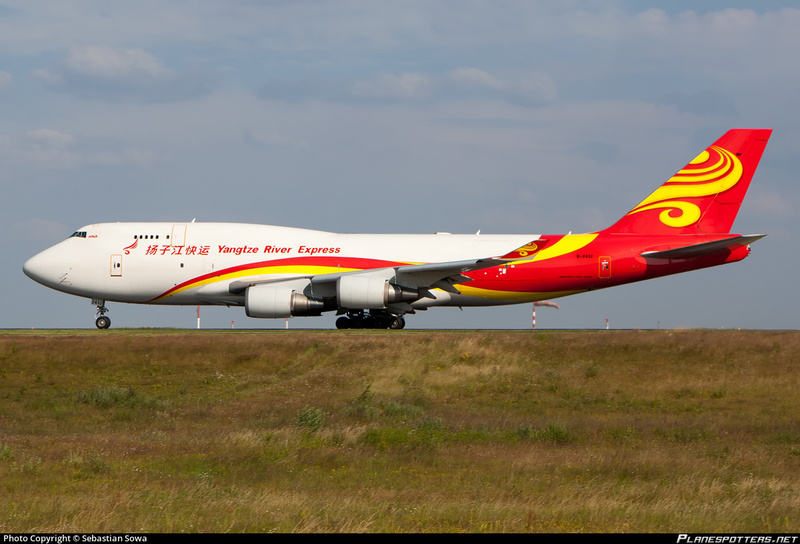 Air Bridge Cargo(ABC) Airlines has taken delivery of the first two Boeing 747-8Fs under a long-term lease agreement with US-based lessor Intrepid Aviation. 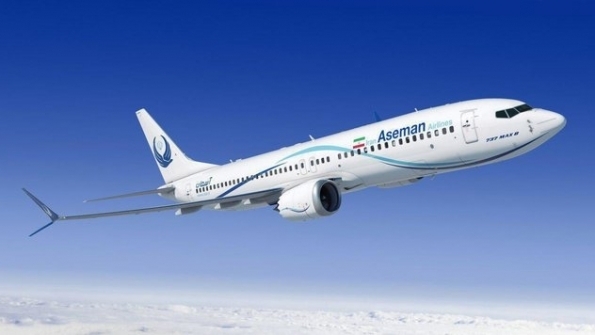 Aseman Airlines of Iran signed a memorandum of agreement (MOA) for 30 737 MAX aircraft, with a list price value of $3 billion. The deal includes rights purchase rights for 30 additional MAXs. 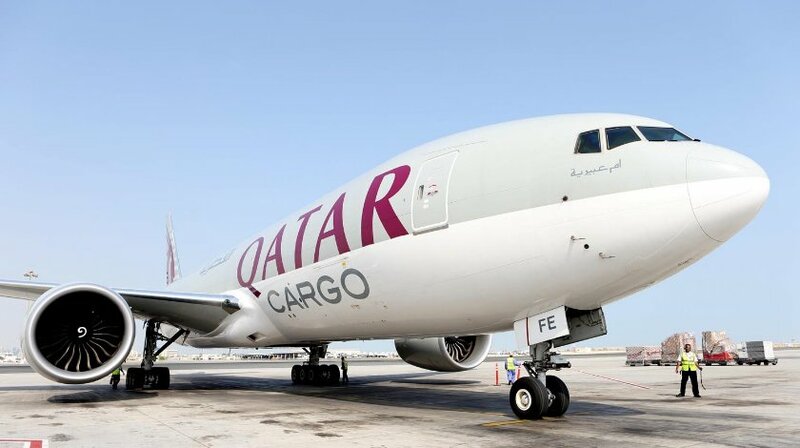 Qatar Airways Cargo received its latest Boeing 777 Freighter in Doha recently, taking its total freighter fleet count to 21. The addition marks the cargo carrier’s commitment to building its young and modern air cargo fleet to strengthen its growth trajectory. The Boeing 777 freighter has the longest range of any twin-engined freighter and is based around the 777-200 LR aircraft operating on the ultra long haul routes. It has a payload capacity of 102 metric tons. The airplane’s range capability translates into significant savings for cargo operators: fewer stops and associated landing fees, less congestion at transfer hubs, lower cargo handling costs and shorter delivery times. The capacity of the Boeing freighters is unrivaled and the plane’s economics make it an attractive addition to the fleet. Qatar Airways Cargo operates the Boeing 777 freighters on long-haul routes to the Americas, Europe, the Far East, Asia and some destinations in Africa. The airline will receive another Boeing 777 freighter later this year, increasing its freighter fleet to a total of 22 aircraft by the end of 2017. An Antonov Airlines An-124 and Air Charter Service delivered a GE90 jet engine for Swiss International Air Lines 777-300 that was forced to make an emergency landing on February 1 in the Canadian Arctic town of Iqaluit after one of its engines shut down in mid-flight. 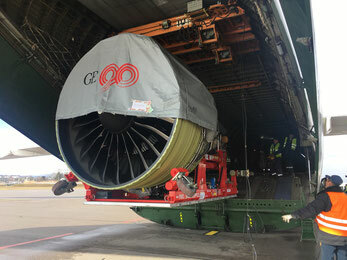 The GE90 arrived less than 48 hours later after the Swiss jet landed in Canada; the An-124 remained in Iqaluit for a toTal of five days, while the new engine was installed on the 777 and the unserviceable engine could be retrieved. Fortunately,the 216 passengers on the Zurich-to-Los Angeles flight only had to wait half a day as the plane sat on the tundra until a replacement jet resumed the journey to Los Angeles. The rapid growth of aircraft maintenance sector in the Asia-Pacific region is creating a significant risk of aver supply, according to some industry executives, said speakers at Aviation Week’s MRO East Asia conference. The MRO market is “reshaping itself” and has been “shifting to Asia”, saId Vehbi Ozer, Turkish Technic’s strategy planning and projects manager. He predicts that in the near future, the Asia-Pacific region will represent the biggest MRO market. Green Airliner Singapore, Asia has essentially caught up to Europe and North America in terms of market share. The global total is projected to rise to $96 billion by 2025, with Asia-Pacific growth likely to exceed that of the more developed regions. Rapid expansion is both a challenge and a danger for the MRO industry, said Daniel Stromski, Haeco’s GM for inventory technical management. He likens the current situation to a “gold rush,” with a wide range of companies looking to set up new operations or joint ventures in Southest Asia and China. ASCO has a Boeing contract to supply had metal/aluminum structural components through 2024. Fokker Services(GKN Aerospace) was named authorized service provider by Bombardier to provide Q400 component repair management under its Smart Parts program. Astronics acquired operating assets of Pacific Northwest-based Custom Controls Concepts,which supplies cabin management and IFE systems for Airbus/Boeing VIP aircraft. Pemco has an Air Incheon contract to convert one Boeing 747-400 to freighter. 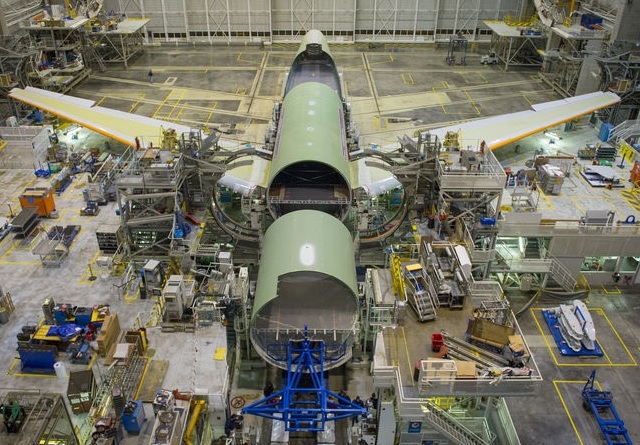 Aeromet has a Boeing contract to supply 777X parts using its A20X aluminum alloy. CTT Systems has been selected by Boeing to provide the humidification systems for flight deck, crew rests and cabin zone A/B for the Boeing 777X aircraft. CTT will be tier-1 supplier to Boeing and the CTT products will be offered as supplier furnished equipment in the 777X catalog. CTT Systems AB, headquartered in Nykoping, Sweden and listed on the Small Cap of OMX Nordic Exchange Stockholm AB, is the leading provider of aerospace products for active humidity control: inside the aircraft cabin-for increasing humidity-and in aircraft structures- for preventing condensation. Selecting CTT enables Boeing to bring humidification capabilities and performance from the 787 to the 777X and migrate to premium passenger cabins (zone A and B). In total, the Boeing 777X aircraft can be equipped with five humidifiers. The 777X will be the largest and most efficient twin-engine in the world, with 12 percent lower fuel consumption and 10 percent lower operating costs than the competition. CTT’s humidifier maintains relative humidity in the human comfort zone, 20 percent Relative Humidity. A higher humidity on long-haul flights reduces dry air related problems (e.g. fatigue, jet-lag, red eyes, dry skin, spread of virus diseases) and improves wellbeing and sleep. The humidifier is baed on evaporative cooling technology and uses a method that effectively precludes the transfer of bacteria. Airbus has assembled the basic core airframe of the initial BelugaXL high-capacity transport designed to replace the A300-600ST logistics fleet. The airframes, based on an A330-200 freighter with reinforcements, was assembled in December of 2016; but has yet to be mated with its nose or tail sections. These sections will be added this year, the manufacturer states, as an 18 month integration process commences. Beluga XL program head Bertrand George says the final integration will be “a series of small steps”. Over the initial 12 months of the assembly, the airframe will be completed and fitted with mechanical and electrical components. The final six months will involve transferring the aircraft to a new station for Rolls-Royce Trent 700 engine installation and Ground testing. Airbus is renewing the logistics fleet with five Beluga XLs to meet demand for A350 assembly. The Beluga XL will enter service in 2019. 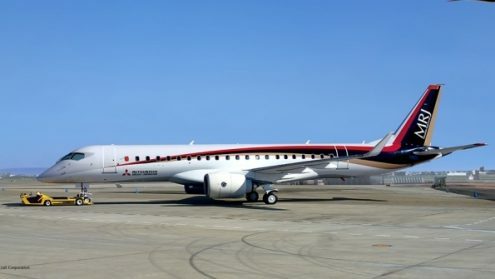 Mitsubishi Heavy Industries, the parent of Mitsubishi Aircraft Corp., has made official a further two year delay in the Mitsubishi Regional Jet (MRJ) program. Mitsubishi said on January 23, that the first delivery of the MRJ90 to Japan’s All Nippon Airways (ANA) would be pushed back to mid-2020 from mid-2018; meaning first delivery will be nearly seven years later than what was planned in the program’s original timetable. Four MRJ90 flight test aircraft are currently flying, with a fifth slated to join flight testing this year. The Latest delay is necessary because of “revisions to certain systems and electrical configurations on the aircraft to meet the latest requirements for certification,” “the design changes will not effect aircraft performance, fuel consumption of functionality of systems” Mitsubishi said. MRJ certification is now targeted for the second half of 2019.The company aims to achieve world class commercial aircraft development through integrated work between global and Japanese experts. Source : Mitsubishi Aircraft Corp./Photo Mitsubishi Aircraft Corp. Testing of the largest turbofan aircraft engine in history will enter a new phase later this year. 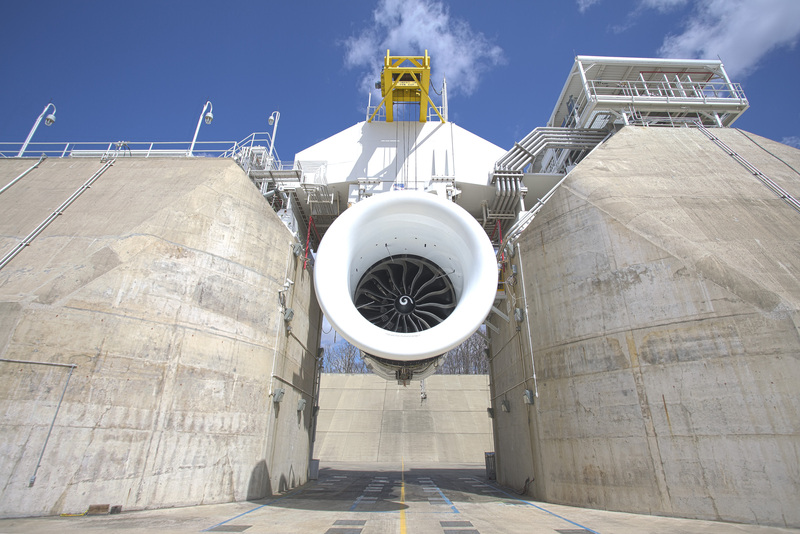 Until now, GE Aviation has used the first engine to test (FETT) to validate design and performance assumptions. With the second engine to test now in final assembly, GE is poised to begin a one -year cycle of trials required to earn airworthiness certification by the US Federal Aviation Administration. Although based on the architecture of the GE90, the GE9X sets new boundaries for the industry in terms of size-notably its 134in (340cm) fan diameter-pressure ratio (a claimed 61.1 margin at top of climb) and application of new materials, including the spread of ceramic matrix composites (CMC) to turbine nozzle guide vanes and combust or liners. 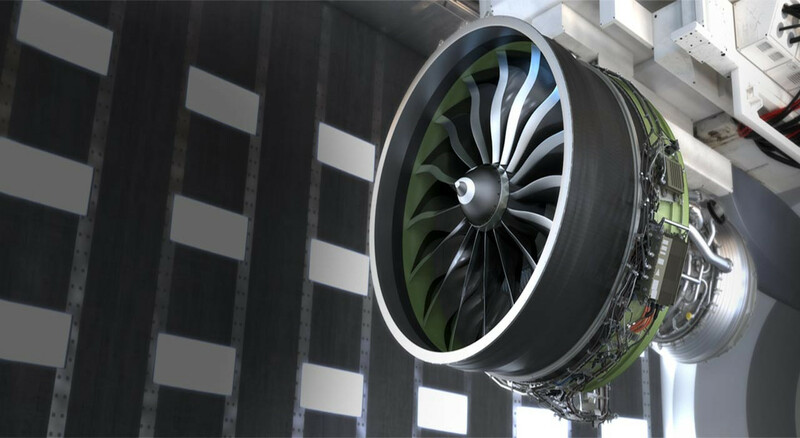 It also improves on the strength of the carbon fiber construction of the fan blades, allowing GE to assign only 16 blades for each engine, despite a 6in wider diameter compared with the 22 fan blades found on the GE90. Each new feature in the GE9X must be validated as being as safe or better than the proven engine technology already in service, while still meeting performance promises such as a 10% reduction in fuel burn against the GE90. And it must be proved ready on a tight schedule: Boeing plans to begin deliveries of the first GE9X powered 777-9 by early 2020, which implies a system-level, Part 25 airworthiness certification in late 2019 and an engine-level, Part 33 certification in 2018. Southwest Airlines chief executive Gary Kelly says the carrier will be the launch customer of the Boeing 737 Max “regardless of when we take the first delivery”, even as Norwegian prepares to be the first operator. 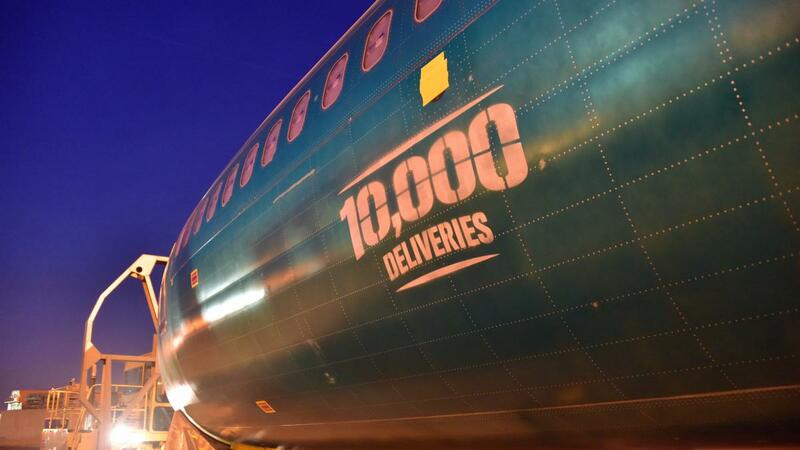 Kelly cites the Dallas-based carrier’s extensive involvement with Boeing on the development and testing of the latest generation of the venerable narrow body, as the rationale behind his comment during a quarterly earnings call today. 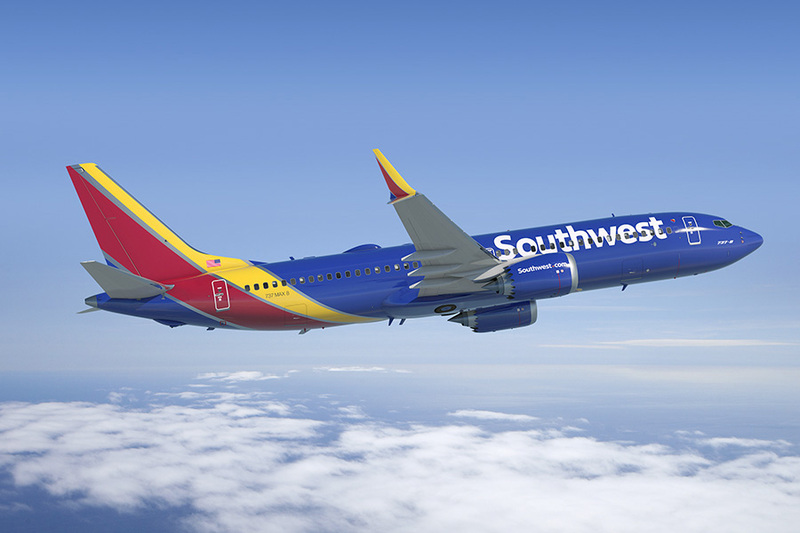 Southwest is the launch customer of the Max, placing the first order in December 2011. Norwegian placed its 737 Max order a month later in January 2012. Southwest reaffirms that it will not debut the 737 Max 8 on scheduled flights until the end of the third quarter, when all its 737-300 and -500 aircraft, or classics, are retired. ”We don’t really need the 737 Max for flying until October 1,” says Kelly. “Norwegian will now be the first airline to take delivery of the 737 Max, and will be the first airline in the world to operate this brand-new aircraft type,” spokesman for Norwegian says. 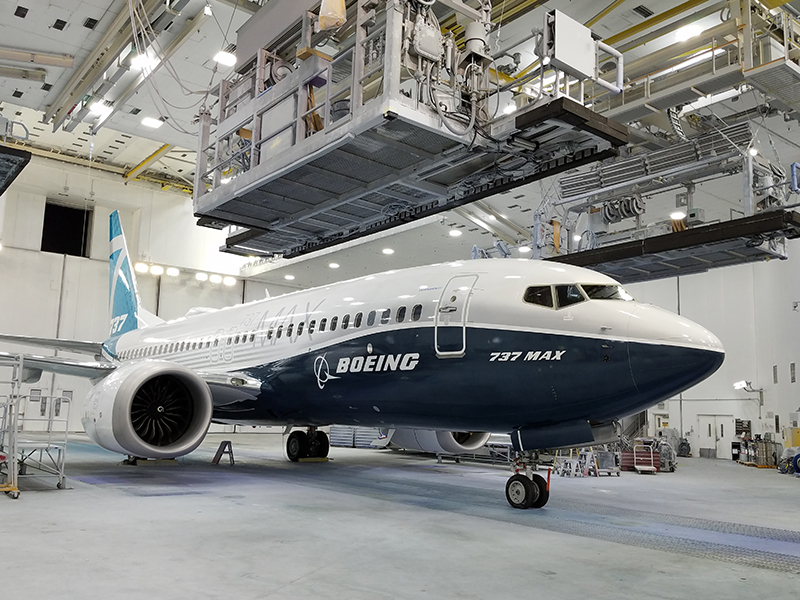 The jockeying between Norwegian and Southwest sets up a race between the two carriers to see who will take the first 737 Max, with the odds likely on the latter due to its placing the first order and heavy involvement in the program. Lion Air, Norwegian and Southwest are all scheduled to take their first Max 8s in May, the Flight Fleet Analyzer shows. In addition,China Eastern Airlines, FlyDubai and WestJet are scheduled to take their first of the type before the end of September. Juneyao Airlines has announced an order for 10 Boeing 787-9s, comprising five firm orders and five options. The aircraft will facilitate the Shanghai-based carrier’s rapid international expansion. 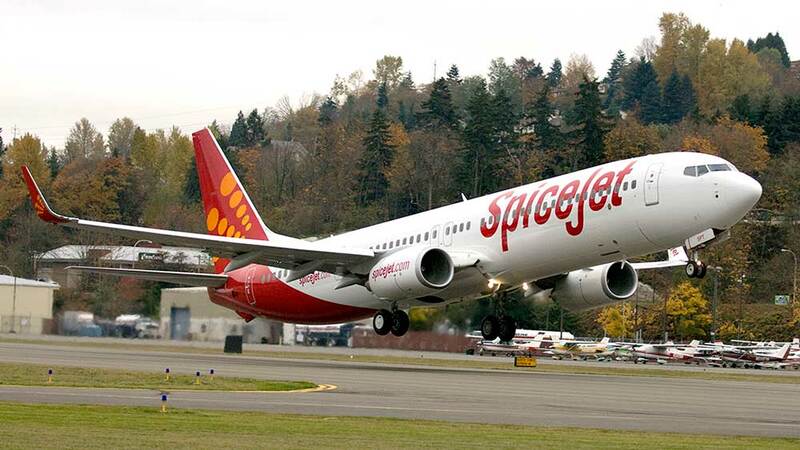 SpiceJet sealed a deal worth $10 billion with Boeing for 100 737 Max aircraft. Air Baltic, the Latvian carrier has received its second Bombardier CS300 aircraft after becoming the launch customer for the larger CSeries variant. Trade Air, the Croatian Charter, carrier received its first Airbus A320, a former SATA international example. Delta Airlines has taken delivery of its first US-built Airbus A321. The jet N314DN (c/n 7281),was delivered from Mobile, Alabama, plant to Minneapolis, St Paul last December. Arik Air of Nigeria has scrapped a longstanding order for two Boeing 747-8Is, replacing it with a pair of Boeing 787-9s. China Aircraft Leasing Group (CALC) signed a long term lease with Thai AirAsia for one Airbus A320, which is expected to be delivered this year. Avolon, the Irish lessor, delivered one Boeing 737-800 to Malaysia-based Malindo Air. This is the forth Avolon aircraft on lease to Malindo. 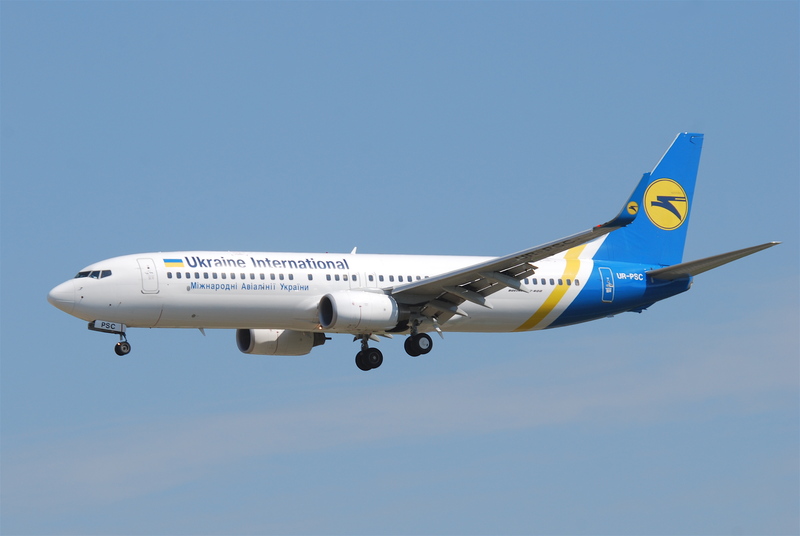 Ukraine International Airlines has taken delivery of the first of six Boeing 737-800s, which are scheduled to join the fleet this year. Thanks to a booming year for lobster, Halifax Stanfield International Airport (YHZ) saw substantial cargo growth in 2016, processing more than 33,000 tons of cargo, up 4.1 percent over 2015. An estimated US$187 million in seafood exports were shipped last year, an increase of approximately $40 million from 2015. As demand for lobster and other high-value seafood grows in markets such as Asia, Halifax Stanfield International Airport expects continued growth in seafood exports. Yangtze River Express Airlines was the latest cargo carrier to add services to Halifax Airport and take advantage of the lobster export season earlier this month. The Chinese carrier operated five 747-400 F cargo flights between Canada and China since the first of the 2016 calendar year. The airport is Atlantic Canada’s busiest full-service airport, with cargo connectivity to markets across Canada, the United States, the Caribbean Basin, Europe and Asia. The airport processes cargo worth more than $447 million each year. 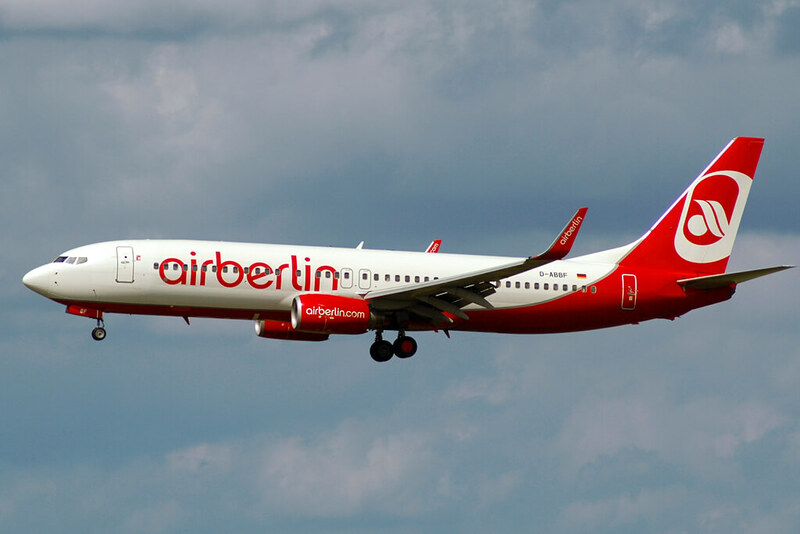 GECAS Asset Management Services has entered an agreement with Air Berlin to acquire the airline’s entire inventory of 737NG spares including both rotables and expendables. “Most components will be available for immediate shipment to our customers,” says Stefan Hayes, global commercial leader for GECAS Asset Management Services. The material will be located at Asset Management Service’s warehouse locations in the U.S.,UK and Singapore. 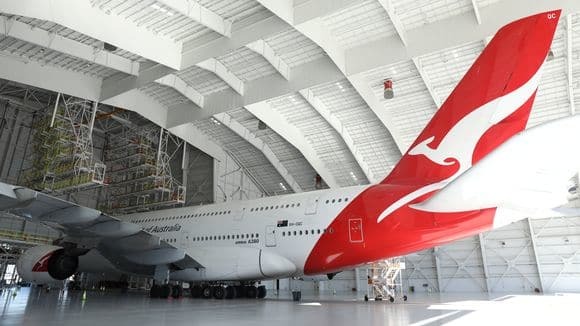 Qantas Airways unveiled a new $30 million hanger at Los Angeles International Airport, big enough to hold and perform maintenance on its A380s. The hanger, the only facility in the U.S. designed specifically to hold the behemoth plane, was touted as signaling the airline’s commitment to Los Angeles as well to travelers making long-haul flights between the US and Australia. “This is a win-win opportunity,” said Los Angeles Mayor Eric Garcetti, who attended a ribbon-cutting ceremony for the facility on Friday, January 27th. The Hanger is 480 feet by 370 feet and 12 stories tall, big enough to hold four passenger jets.The facility replaces a smaller 1950s-era hanger. Qantas flies 40 flights per week between Los Angeles and Sydney, Melbourne and Brisbane, Australia, primarily using A380s and Boeing 747 jets. Qantas Group Chief Executive Alan Joyce, said the new hanger will make maintenance 20% more efficient because it allows more planes to fit the facility at the same time. 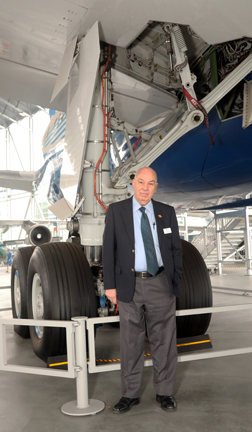 When Qantas wanted to work on an A380 in the old, smaller hanger, most of the plane would not fit inside, he said. Joyce said that Qantas also plans to rent out the facility to other carriers at LAX.